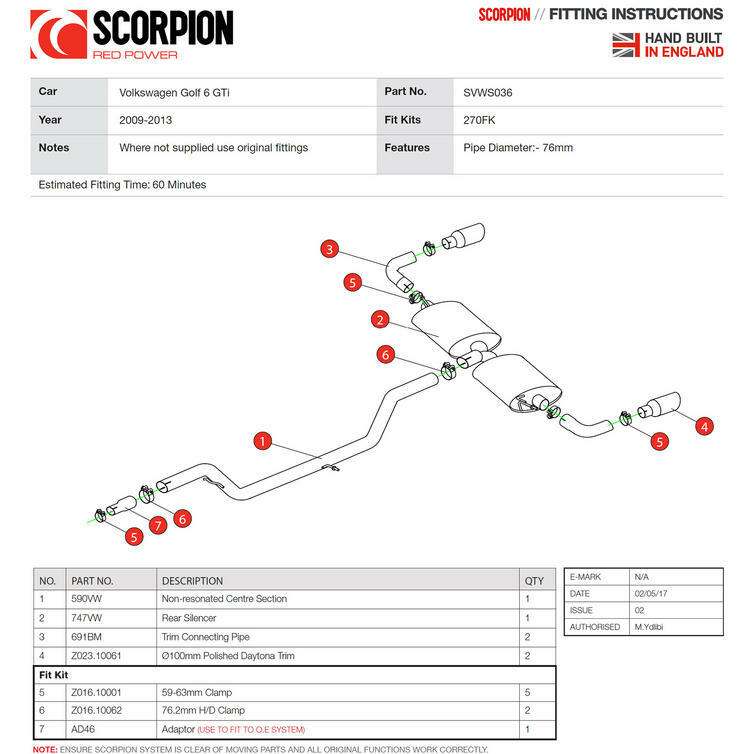 The Scorpion Car Exhaust Non-Resonated Cat-Back System - Volkswagen Golf MK6 GTI 2.0 TSI 2009 - 2013 is part of the latest Scorpion Exhausts collection. 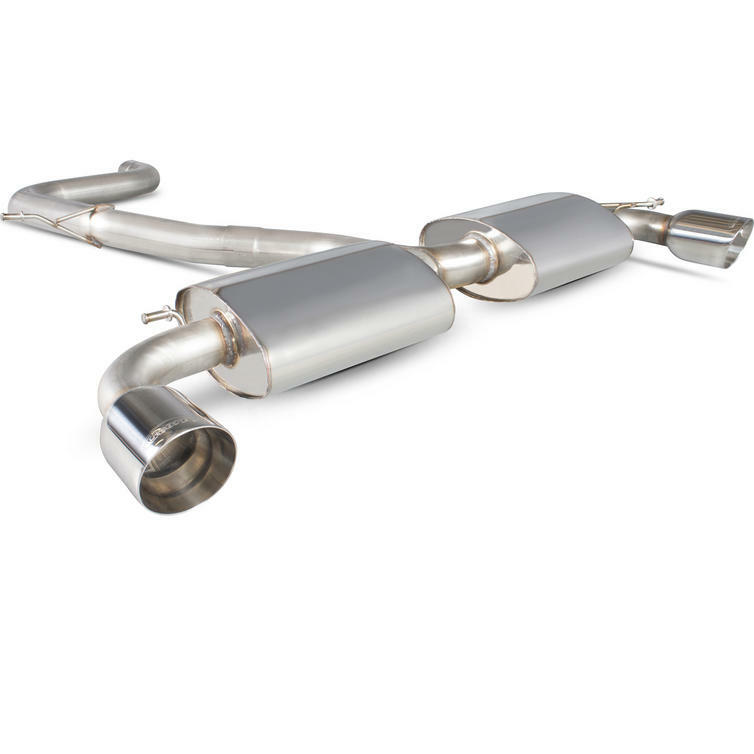 Unlike before, the system has now been split up making it more economical and safe to ship. 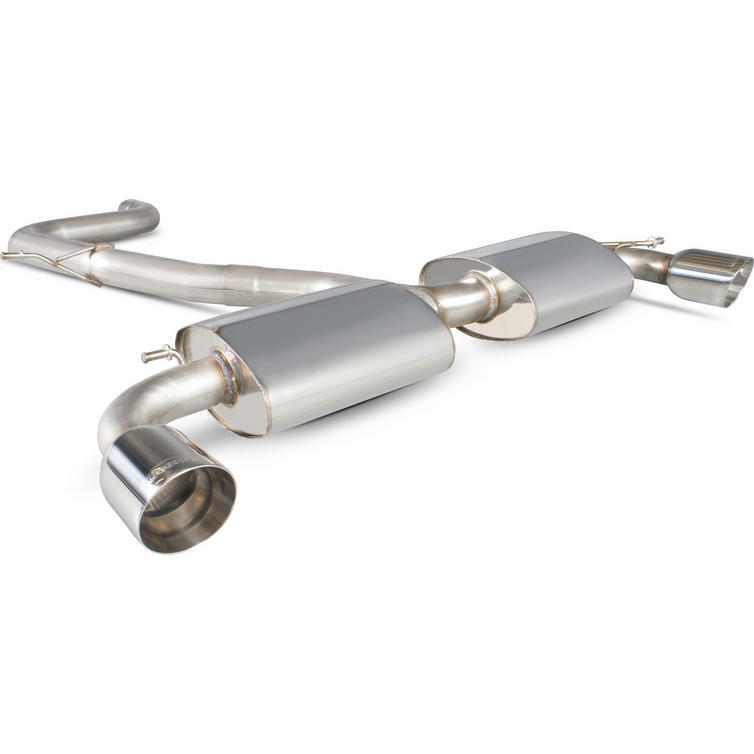 The tailpipe sections have also been made adjustable for an easy and accurate installation.